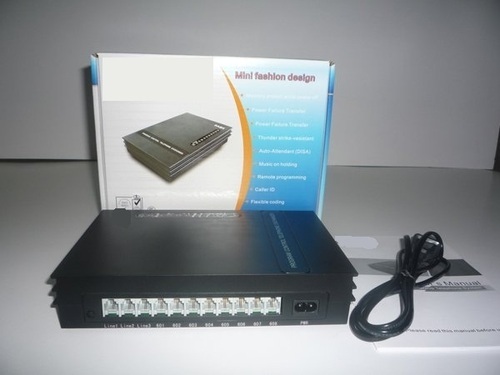 Portable EPABX System / Telephone ExchangerÂ for ( 2lines+6 ext), (3lines+8 ext)..etc.This Portable EPABX System is an ideal telephone system for small offices and home offices. It is very easy to install and use. It has all the standard features comparable to those expensive EPABX systems in the market. It works with your current analog phones and you do not need to spend extra money to buy proprietary telephones to work with the EPABX. Installation is simple, no special tools, testing equipments or technical skills is required. The unit has been programmed toÂ work automatically out of the box.